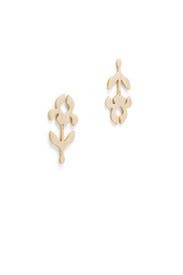 Make an artful statement with these whimsical floral drop earrings by Lele Sadoughi. Bone acetate assymmetric iris stem earrings. Post backs for pierced ears. 3" long.